The following ebooks contain homemade beauty recipes for even the skimpiest of budgets. These two books contain everything you need to know about either making your own skincare just from ingredients out of your kitchen, or making true spa quality skin care that you can use, give away as gifts or even sell. These two skincare recipe books are the best you will find on the net or in any book store. Out of the many books I have purchased these are the only two that I actually use and would recommend. Whether you just want to whip up a quick facial mask, or if you're interested in making spa quality skin care that you can give away as gifts or even sell, these books will quickly become your favorites. With both of these books I just printed out my favorite pages and put them in a 3 ring binder. If I spill or goo them up I just print out another. If you wanted you could probably laminate your favorite recipes and then you can just wipe them clean and they will last forever. Either way these books are worth every penny. This skin care ebook is written by Sue Dolan who has become an expert on using natural and organic ingredients that you have right in your kitchen. A lot of recipes take just a few minutes to whip up and they are very inexpensive to make. Don't mistake inexpensive for ineffective though, these homemade beauty recipes provide natural nutrients for your skin and work very, very well. You will notice a difference in your skin, especially if you pay attention to her useful tips. Her recipes are good for wrinkles, sagging skin, blemishes, dark circles, age spots and the list goes on. In total there are 135 recipes, so there is something for every skin type. Right now Sue Dolan is also giving out free bonuses with her Naturally Skinsational book. With your order you recieve six e-mail sessions to get you started out on your skin care routine, a bonus Natural Skin Care ebook and 12 free recipe cards. Unfortunately I ordered my book a while back so I can't give you much info on the bonus ebook but if it's anything like Naturally Skinsational it will be an awesome freebee. To check out more information on this homemade beauty recipes ebook just click below and the link will take you to Sue Dolan's website. If you are looking to make natural skin care as your hobby, or if you would like to make natural skin products to sell, this is the book for you. Written by Jane Church, this book covers absolutely everything you need to know. There are over 120 quality recipes. 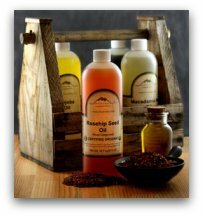 There are recipes for handcrafted soaps, bubble baths, bath bombs, butters, lotions, creams and more. All the recipes have step by step instructions and there are also helpful tips for complete beginners who want to get started. Besides recipes Jane Church teaches you all about packaging and labeling your products, how to price them and even how to promote your natural skin care products. She even provides information on which colors to use on your labels. She also provides you with a list of suppliers and very low cost promotional ideas. She has left nothing out. Whether you want to make spa quality treatments and skin care for yourself, or if you would like to make it for gifts for family and friends, or if you want to start your own little natural skin care business this is the book that I suggest you grab. For more information on the Handcrafter's Companion visit Jane Church's website through the following link. Regardless if you are trying to save money on your skin care by making your own, or if you are interested in making skin care products to earn some extra cash these books are all you will need. Enjoy making your own homemade beauty recipes today!